The couple, Will Smith and Jada Pinkett Smith are been questioned by child protection service after their daughter Willow Smith’s controversial photo emerged on social media earlier this month. The two stars have been under investigation by the Los Angeles Department of Children & Family Services and they so far are cooperative. “The investigation was formally opened last week and is being taken very seriously by the department. 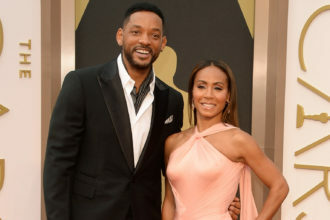 Will and Jada Pinkett Smith have been extremely cooperative with officials. Of course, they aren’t happy that their parenting skills are under scrutiny, but they understand. Social workers will also be talking separately with Willow, and they also want to talk to the young man in the picture with her as well. This won’t just be one or two visits with the family, and it will likely be an open investigation for at least a month, out of an abundance of caution.” a source revealed. In the black-and-white photo, which was uploaded on Moises Arias’ Instagram, the 13-year-old Willow can be seen lying in bed while the 20-year-old Moises sat against the wall behind her.